Nicolas comes from a family of builders who specialize in custom, luxury homes primarily in Oakland county. He has been involved with property development from a young age and has always had a passion for the industry. Working closely on site and in the sales office, he took off with a running start once joining Max Broock by producing over a million dollars in sales volume in his first eight months. 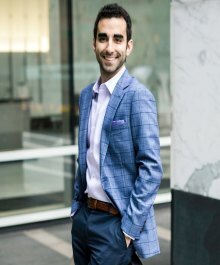 Nicolas’ knowledge and authenticity coming into the industry years ago put him ahead of the pack as he continues to thrive as one of our successful, younger agents. We highly recommend Nicolas as well as any other agent in our office – assuring knowledge, experience, superior service and an excellent eye for luxury.